Do you crave performance-tuned, horsepower-driven thrills? 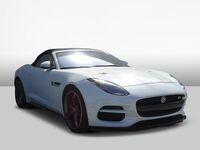 The 2019 Jaguar F-TYPE is a hallmark of the sports car segment, that is armed with a bold style and an arsenal of engine options that will endear it to luxury car shoppers. Learn more about what sets the Jaguar F-TYPE apart from competitors in this 2019 Jaguar F-TYPE vs 2019 Lexus LC comparison. A versatile, track-ready design promise to make the 2019 Jaguar F-TYPE stand out from the automotive masses and drivers who have their hearts set on British-engineered performance will have a choice of four rim levels – F-TYPE, F-TYPE R-Dynamic, F-TYPE R and F-TYPE SVR. 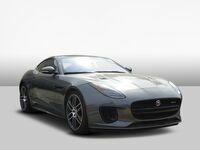 Available in coupe and convertible body styles, the two-passenger Jaguar F-TYPE can be tailored to fit your lifestyle at Barrett Jaguar. What Are the Differences Between the Jaguar F-TYPE and Lexus LC? Price is an important piece of the car-buying puzzle and in this 2019 Jaguar F-TYPE vs 2019 Lexus LC comparison, the Jaguar F-TYPE promises to be a more affordable option. 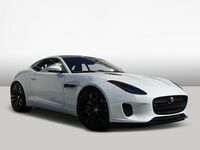 Entry-level Jaguar F-TYPE editions feature a base price that starts at just $60,750 and a fun-to-drive 296-horsepower 2.0-liter turbocharged Ingenium four-cylinder engine. In addition to a one-of-a-kind design, the Jaguar F-TYPE features a long list of standard amenities with LED headlights, a 380-watt Meridian™ sound system, Active Sports Exhaust, a 10-inch Jaguar InControl® Touch Pro touchscreen infotainment system, Apple CarPlay, Android Auto, Lane Keep Assist, Emergency Braking and much more. With a price tag that starts at $92,300, the stock Lexus LC features a powerful 471-horsepower 5.0-liter V-8 – that still cannot compete with high-end Jaguar F-TYPE entries. To upgrade performance, the Jaguar F-TYPE will add a Carbon Ceramic Matrix Braking system, an Electronic Active Differential and Intuitive All-Wheel Drive with Intelligent Driveline Dynamics - a feature not available to Lexus LC models. Interior upgrades include a 770-watt Meridian™ sound system, premium leather upholstery, Jaguar InControl® Apps™ and Jaguar InControl® Remote™ technology. 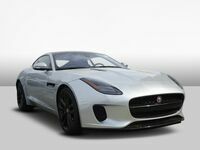 Performance is the name of the game in the sports car segment and the 2019 Jaguar F-TYPE promises to check all the boxes. 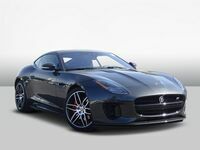 Armed with five engine options to choose from, the Jaguar F-TYPE performance can be tailored to fit your lifestyle. Lexus LC entries are available with just two powertrains – a 471-horsepower 5.0-liter V-8 and a 354-horsepower Multistage Hybrid Drive – that cannot match the performance numbers of the Jaguar F-TYPE.